Shari Duddy’s career in education began as a third-grade teacher in the South Orange/Maplewood community. Today, she is a Learning Disabilities Teacher Consultant and, with almost 30 years of experience in the field, an expert in Special Education. The first 18 years of Shari’s career were spent in the classroom pioneering teaching methods and breaking down the barriers between Special Education and General Education students. One of Shari’s career highlights to date is leading a pilot program which moved beyond the norm of students being divided into ‘Special Education’ and ‘General Education’ categories, where it was commonplace to have one teacher in each classroom assigned to the respective groups. By addressing learning strengths and needs, rather than focusing on disabilities, students were heterogeneously mixed in learning groups and engaged via multi-sensory approaches and a range of teaching styles. Her hands-on, pioneering approach to teaching has attracted positive media attention: her work was showcased in ‘What’s Right in American Education’ in the 1990’s, and several newspaper articles detailed her pioneering classroom techniques. During her time in the Livingston school system, Shari was trained in the Orton-Gillingham approach, in literacy education through Teacher’s College, Columbia University and completed her Learning Disabilities Teacher Consultant certification. She was a member of the Interventional and Referral Services team and was instrumental in implementing strategies to differentiate instruction. In addition, she contributed to the writing of mathematics, social studies and language arts curricula. Shari worked as a case manager for learning disabled students in various school districts, creating programs and diagnosing academic learning issues. She has also trained teachers in the DRA, ‘Fundations’, the Child Study Team referral process and specifics of the Administrative Code. Reading Instruction in Special Education – a group of students, parents, teachers, administrators and specialists providing support, guiding and sharing knowledge in the area of reading instruction. Shari holds a Masters Degree of Education in Instruction, Curriculum and Administration from Kean University (New Jersey), Learning Disabilities Teacher Consultant Certification from William Paterson University of New Jersey, and will complete her Supervisory certification from Kean University in May, 2014 and Principal’s certification May,2015. 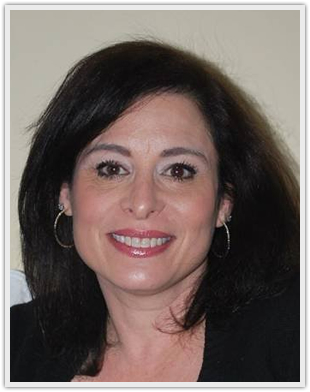 Shari is based in New Jersey and work in the New York Metropolitan area.